For ice crushing, blending, food processing and complete juicing. Total Crushing technology crushes ice and frozen fruit in seconds for creamy frozen drinks and smoothies. Use pitcher to create drinks, dips, sauces and more. Processor bowl evenly chop vegetables or make up to 2lbs of dough. BPA free. Dishwasher safe. 1500 Watts. 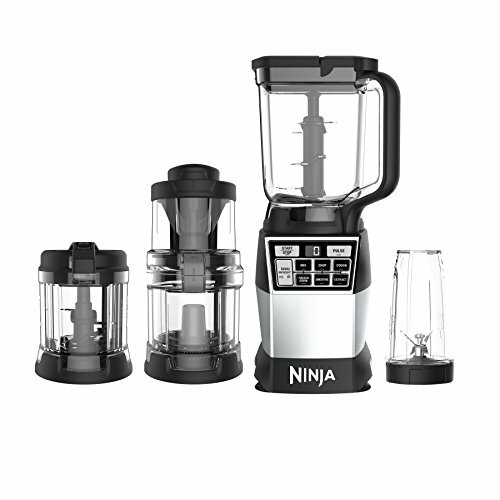 Equipped with XL 72 oz Total Crushing blender, 8 cup food processor bowl and two 16 Nutri Ninja cups. 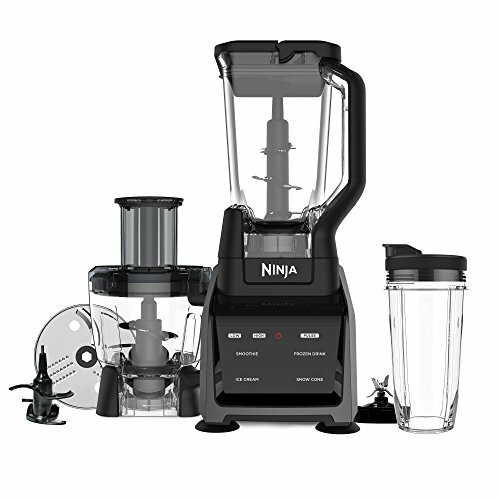 Ninja Kitchen System with Auto-iQ Boost, allowing you to truly customize your drink-making experience, whether you're using Nutrient & Vitamin Extraction or High Performance Blending. Now you can make deliciously drinkable juices or whip up ultra-creamy frozen smoothies, all at the touch of a button. This kitchen system includes a 72 oz. 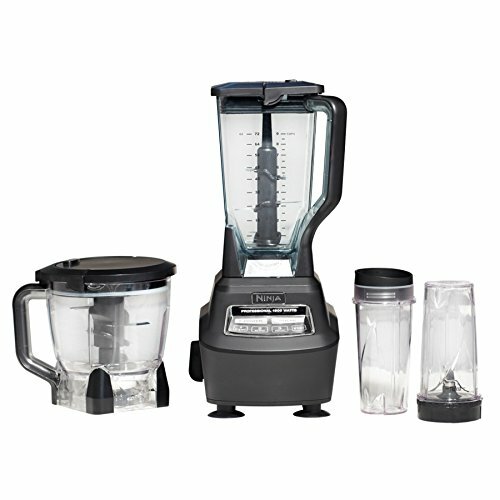 Blender Pitcher for added functionality to create nutritious meals and drinks. With Total Crushing Technology, you can pulverize ice to snow in seconds for creamy frozen drinks and smoothies for the whole family. While also including a 40 oz. Blend & Prep Bowl with precision processing for even chopping, smooth purees, and perfect dough consistencies. 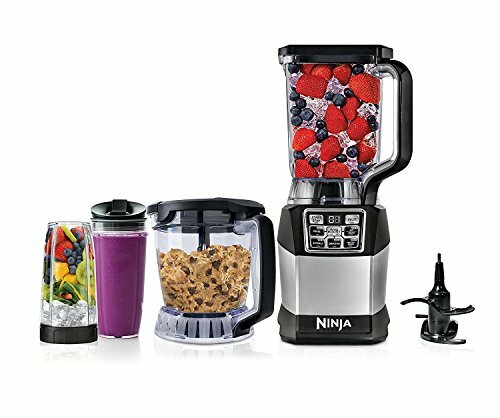 Two 24-ounce Tritan Nutri Ninja Cups are included, allowing you to make delicious smoothies to take on the go. Extract a drink containing vitamins and nutrients from fruits and vegetables. 64 oz. max liquid capacity. 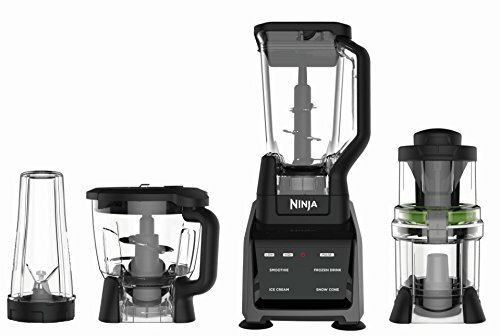 Ninja intelli-sense kitchen system with auto-spiralizer features a touchscreen display and transforms into four high-performance kitchen appliances: 72 oz. Total crushing blender, 64 oz. Precision Processor, 24 oz. Single-serve cup, and auto-spiralizer. Smart vessel recognition automatically recognizes which vessel is attached to the base and displays a menu of pre-set programs on the intuitive and easy-to-clean touchscreen. 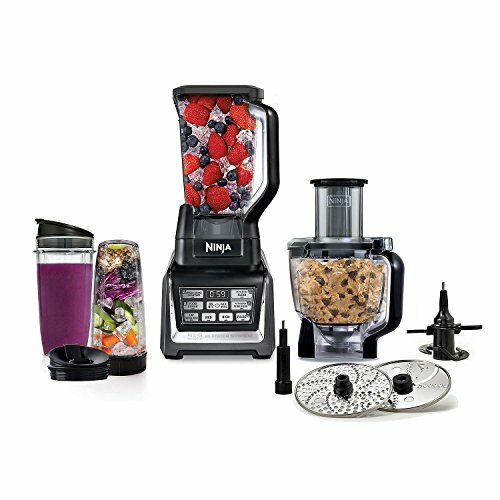 12 smart pre-set programs combine a unique set of pulsing, pausing, and blending patterns to take the guesswork out of drink and meal making, simply by pressing a button. A little slice of awesome. We would never start a sentence with "No matter how you slice it...," because to us, it does matter. 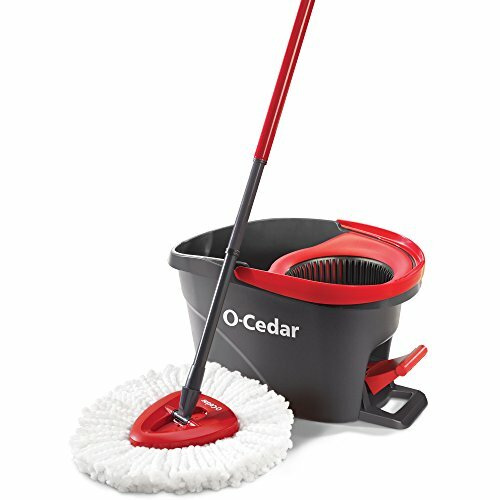 We make sure our slicing and shredding accessories are a cut above the rest. So you can get sharp, precise and delicious results every time. Kinda like if a real chef did it for you. 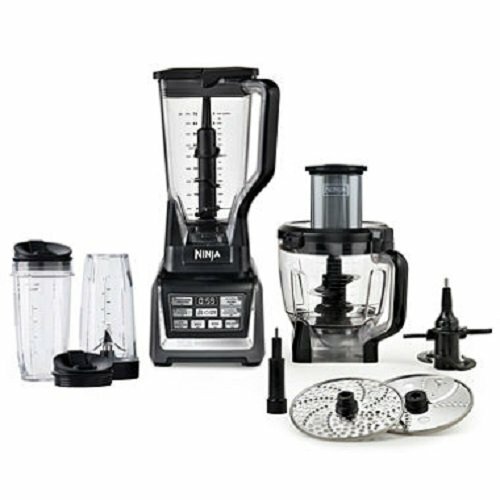 Compare prices on Kitchen System at Shopsimal.com – use promo codes and coupons for best offers and deals. We work hard to get you amazing deals and collect all avail hot offers online and represent it in one place for the customers. Now our visitors can leverage benefits of big brands and heavy discounts available for that day and for famous brands.